SCOTTSDALE, AZ - October 25, 2018 – Embedded Computing Design, a media partner for the 2019 Embedded World conference in Nuremburg, Germany, has announced that it has expanded its marketing offerings by adding speaking positions inside its Embedded Pavilion. 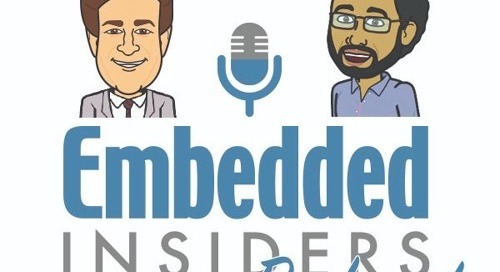 Embedded Computing Design, part of OpenSystems Media (OSM), the leading content provider for today’s design engineers and embedded developers, is offering embedded leaders 30-minute speaking slots followed by a question-and-answer session. The show is being held Feb. 26-28, 2019. Speaking opportunities inside the Embedded Pavilion at the Embedded Computing booth (3A-528), will be 30 minutes in length with 10 minutes following for questions and answers to discuss technology trends. OSM will offer all leads to speakers during their sessions (estimated 20-30), and a social media push on Facebook and Twitter. In addition, Embedded Computing Design is offering numerous marketing initiatives designed for Embedded World exhibitors, including our Top Things to See at Embedded World, In-booth videos, product email campaigns, editorial opportunities, social media coverage, content creation and Best in Show Awards. Embedded Computing Design is also offering Survey/Lead Generation programs around hot topics such as Industrial IoT & Predictive Maintenance, Machine Learning, Processor IP: ARM & RISC-V, Automotive, Industrial and Security. OpenSystems Media has been a leading publisher of electronics magazines, e-mail newsletters, websites, and product resource guides for more than 30 years. OSM is also the leader in driving leads and awareness through social media, and is the largest producer of lead-generation tools such as webcasts, whitepapers, Embedded Datasheets, Embedded University, and custom newsletters. The company also offers moderation services, editorial services, and sponsored vendor specific events. Current publications include: Embedded Computing Design; Military Embedded Systems; IoT Design; Industrial AI Resource Guide, PICMG Systems and Technology; PC/104 and Small Form Factors; and VITA Technologies. 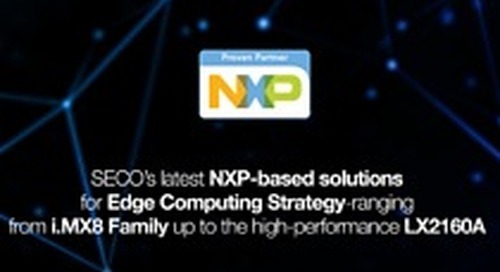 For more information visit www.embedded-computing.com, or contact Patrick Hopper at patrick.hopper@opensysmedia.com .